Openly discussing financial matters is a touchy subject for many, and it’s no different when it comes to couples and money. Depending on each of our own personal histories, our financial problems, our values, and our relationship with money, it can symbolize different things to different people, which can make it difficult to talk about. 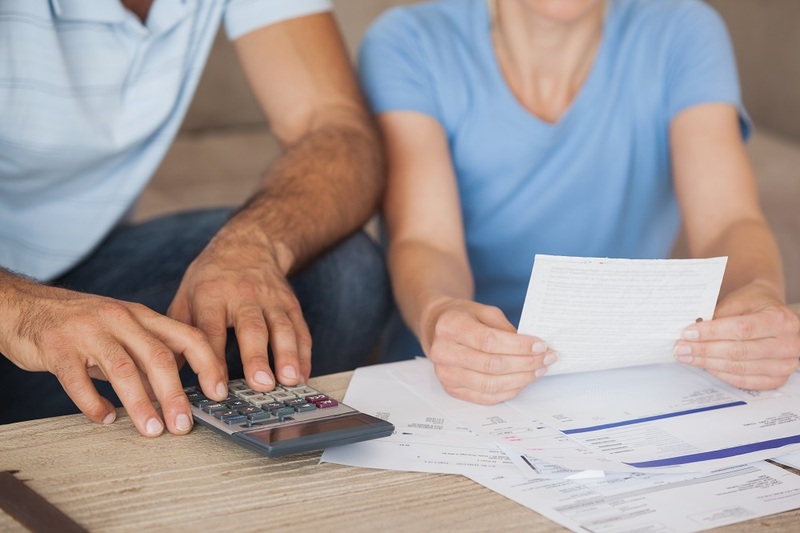 Personal finance is a difficult – sometimes embarrassing – topic to discuss with our significant other, and it sometimes it seems easier just to ignore the elephant in the room. It’s important to discuss managing money and finances early on in the relationship so we can avoid fighting over money in the future. However, if “early on” has long since past, there’s still hope for your marriage or relationship. Here are five common money mistakes couples make and how to fix them. We make time for important things in our lives, like going to the doctor or dentist for a check up, and the same should be done for our finances. 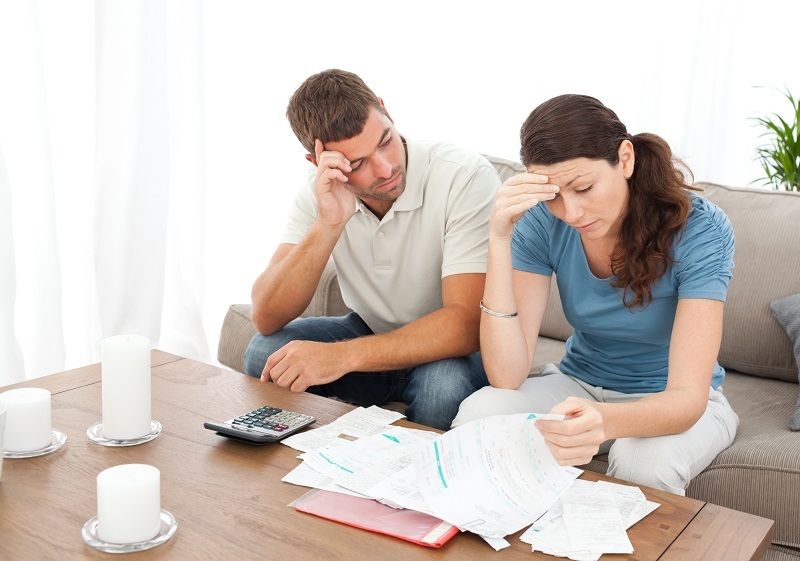 Talking about money and financial problems can feel awkward, but it’s also necessary in a marriage so that you and your partner can get on the same page. Find a neutral time that works for both you and your partner; don’t wait until someone racks up purchases on the credit card, or when other financial issues come up. Your goal is to calmly discuss your finances when there are no particular money problems at hand. What you discuss during these money dates is up to you; it could be about sharing household expenses, bill payments, how your budget is going, or saving up for something important. What’s important is that you schedule time to talk finances. These money dates keep both of you in the loop, and allows you to track your goals and support each other on the way to achieving them. When you have these money dates it’s also important to set some ground rules, so the date doesn’t turn into a money fight. Agree to take equal responsibility for any money decisions, to be honest about your financial situation, and to make an effort to engage and participate in the discussions. How money was handled in the past will often influence our spending personalities and how we handle money now, which is why it’s important to understand our partner’s money history. Our money history can often explain why we approach and handle money the way we do. If your partner grew up in a household where money was tight, that could explain why he’s a habitual saver and refuses to spend money on going out to dinner. It’s not because he doesn’t want to go out; more often than not, it’s because he grew up carefully counting his dollars to make sure he wouldn’t “run out” of money. On the other hand, if you had an idyllic childhood where money was never an issue, you may find your partner’s tendencies to constantly save – and never spend – a bit irking at times. Our money history also creates a value system about money, and this belief system ultimately guides our spending decisions. So if your partner spends money on things you normally wouldn’t, it doesn’t necessarily mean they are wrong, or vice versa. It just shows that they have different money values. Carve out time during your money dates to discuss each other’s viewpoints on budgeting, saving and spending, and how you can respect each other’s values without compromising your own. Be honest about your own shortcomings and expectations, so you and your partner can help each other become smarter about money. Once you understand your partner’s money history, you’ll be in a better position to understand – and appreciate – their financial goals. And, having this understanding will go a long to help you and your partner stop fighting about money. When setting financial goals, it’s important that you and your partner communicate what each of you wants. Most couples automatically assume that the other agrees with their opinions on money and finance, but this is often not true. It’s normal to have different financial goals; the key is to communicate our goals to each other, and to find a way to achieve them together. So, write down and prioritize each of your financial goals, then share your goals with each other. Once you know what’s important to each other, set realistic short-term goals that incorporate some of what’s important to each of you. To agree on common goals, each side may have to compromise some individual goals, but it’s a sacrifice that will reap dividends in the long run. By having goals that addresses both your needs, you’ll both be on the same page about where the money is going, and it’ll motivate you to work together. Both partners need to be clued in about all aspects of the couple’s finances, and the best way to do this is to go through your finances and set up a budget together. When you’re creating a budget, it’s important to consider each other as equal partners with an equal say in money management. If one partner takes home a larger paycheque, it doesn’t necessarily mean they have more control over where the money goes. Sit down with your partner and review what each of you owe, what each of you own, and how much money you each take home per paycheque. Then, budget for shared non-negotiable expenses such as rent, car payments, and insurance. Because these payments are steady and predictable, they’re the easiest to budget around, so address them first. From there, budget for variable expenses (such as groceries) and agree on spending levels for discretionary items you both want, such as cable, dining out, and other nonessentials. How you split the payment of these shared expenses is up to you, and should be discussed and agreed upon beforehand. Some couples pool all their money together and share it, some couples decide to split everything 50/50, while other couples choose to pay the percentage of what their income is to the household. For example, let’s say you earn $4,000 a month and your partner earns $2,000, and your joint expenses for the month are $1,000. Since you make 67% of household income and your partner 33%, you wouldn’t pay $500 each; based on income, you would pay $670 a month and your partner would pay $330. Again, how you decide to split the payments is entirely up to you and your partner. It’s also important to set aside a portion of each month’s budget for an emergency fund. This will come in handy as a buffer if an unexpected emergency comes up. What constitutes an “emergency” varies from person to person, and it’s something you and your partner must agree on. Keep this money separate from your household checking account, and commit to only using these funds in emergencies. Here are some budgeting tips that will help you get started on creating your own budget. Providing each partner with a set amount of “me money” can do wonders to alleviating the constant fighting about money. Fights can often start because of one spouse’s personal expenses from a joint account. So it’s a good idea to provide a spending budget for each partner to use at their own discretion. You’ve worked hard for your money, so you should never have to feel like you need permission before buying something that’s not a major purchase. Maintaining a separate credit card for each of you could be something worth discussing as well, because it allows both partners to maintain a separate credit history, which could be helpful down the road if you want to apply for a loan. If you choose to have your own discretionary spending accounts this doesn’t mean you should keep financial secrets from your partner. Hiding things from your partner, whether it be credit card bills or new purchases, is detrimental in any relationship and gets in the way of open and honest communication. If you can’t be open about what you’re buying and spending money on because you think your partner is going to object, it’s something you should discuss together. If you and your partner are making money mistakes, and you can’t seem to fix them without fighting, consider meeting with a professional couple’s counsellor. If the stress and difficulties are stemming from debt and bill payments you can barely afford are causing the problems, then you would likely benefit from meeting with an accredited, non-profit credit counsellor to help sort through your financial issues. As an impartial third party, a credit counsellor will be able to look at your financial situation objectively, highlight where all your money is going, present your best options, and recommended the steps you and your partner can take to get your finances on track. If meeting with a credit counsellor isn’t something you’re both ready to do, you can also look into registering for webinars, which you can participate in from the comfort of your own home. If you’re looking to end the financial feud, our Couples & Money webinar is a good place to start, as it will teach you the basics of money management. At the end of the webinar, you’ll learn how to identify each other’s money values, triggers and goals, which will ultimately help you “money proof” your relationship. Best of all, it’s completely free. Disagreements about spending and saving is often a source of tension when it comes to couples and money. Unfortunately, fighting about money in a marriage or relationship has become a significant factor in the breakdown of many relationships and marriages. But, having your happily ever after – both romantically and financially – is possible. By working together to understand each other’s money values, setting common goals, and reaching a compromise on how money should be spent, you’ll be well on your way to resolving the common money mistakes couples make.